A lot has changed for LGBTQ people over the last 20 or so years. The days of gay panic are in quick retreat, and gay visibility is on the rise as more and more people feel comfortable coming out and being who they are. According to stats derived from polls conducted or commissioned by groups like the Pew Research Center and the Human Rights Campaign, nine out of 10 adults in the United States say that they know somebody who is gay, and more than a third of the population say they personally know someone who's trans. And it's not because in the 21st century there are suddenly more LGBT people being born—it's because of greater visibility for LGBT people in the media. Celebrities, and celebrity culture, play a big part in this—we've always tended to follow the examples of our stars. So we applaud these famous moms and dads who stuck by and stood up to be counted as an ally to their child, be they L, G, B, T, Q or anything in between. 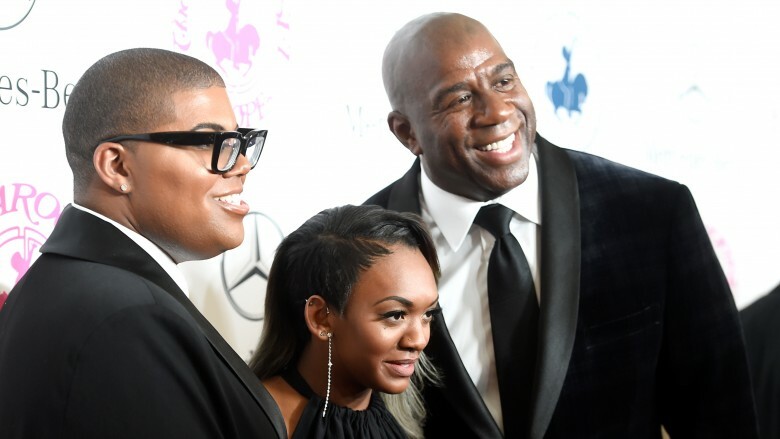 Magic Johnson became both avatar and advocate for those living with HIV when he came out publicly about his diagnosis in November, 1991—and now he's setting another example as a loving father for the 21st century. Like many parents, Magic didn't know how to react when his son, E.J., came out as gay, but quickly decided he was going to be a supportive papa. "I had to come to realize that this is who he is, and he's going to be happy," Magic said. "And so why am I judging him? I'm his father, so I got to be the first one to say, 'It's OK and I love you. Now, how can I help you?'" Cookie, Magic's wife and E.J. 's mom, was proactive in showing her support, talking it through with E.J. as a teen. "Being a mom, I knew," Cookie said. "So when that teenage time came around, I just pulled him aside and talked to him about it because I didn't want him to feel bad about it. I didn't want him to feel like he had to hide. And I didn't want him to be insecure, especially around us. So I just talked to him and he felt so relieved." And he still seems to be doing pretty well—E.J. is currently building up a reality television career, starring in Rich Kids of Beverly Hills as well as his own follow-up spinoff, the New York-based E.J. In the City. The Go-Go's vocalist and "Heaven is a Place On Earth" songwriter seems to have had more stress about her child's coming out than he did. When her son, James Duke Mason, came out at the age of fourteen, he told Belinda and his friends—but not his father. Keeping that secret was a huge, huge challenge for Belinda. "'What sort of world is this going to be for him and what am I going to tell my husband? '", the singer said of her thought process at the time. "He's our only child and I was worried my husband might find the news traumatic. I ended up carrying that secret around with me for three months." But once everything was out in the open, she discovered there was nothing to be worried about at all. Now, James is a writer and an advocate for LGBT causes, founding the awareness-raising Trailblazer Campaign and recently helping to coordinate the L.A. Pride Resist March. 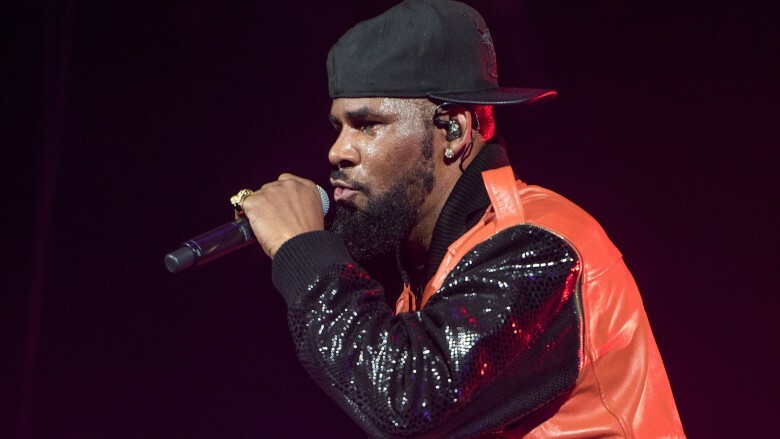 R&B composer R. Kelly addressed the news of his transgender son Jay for the first time in 2014. Jay first came out to his mother, Andrea Kelly, and initially, his father didn't know much about it. (He and Andrea divorced in 2009.) Though R. Kelly's response was, to put it charitably, less than ideal, he did end up in at least in the general ballpark of a respectful response. "No matter what they are or who they are, they're still your kids," he said in a 2014 interview with Chicago's WGCI. "You love them, you know? You've got to support them." 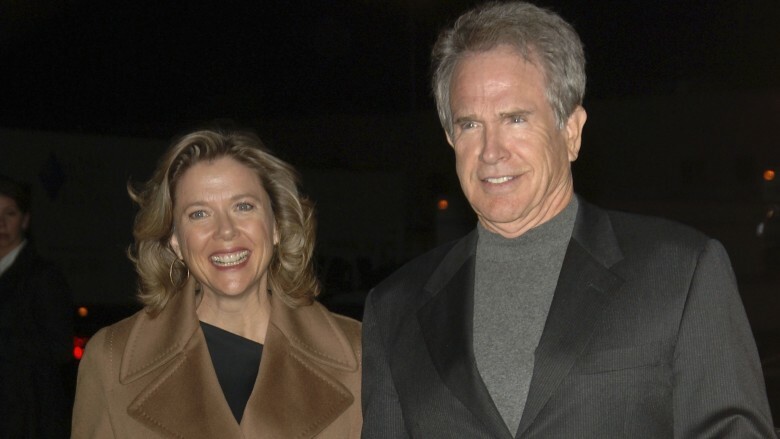 The last time we saw Warren Beatty, he was standing in the center of the Oscars' biggest screw-up ever. But in the months before, the generally private actor and director came out publicly in support of his son Stephen Ira, a 24-year-old trans man whom Beatty calls "a genius, and my hero". His mother, Annette Bening, is likewise "super proud of him." A writer who came out at the age of fourteen, Stephen is a co-founder and editor of the literary magazine Vetch: A Magazine of Trans Poetry and Poetics. 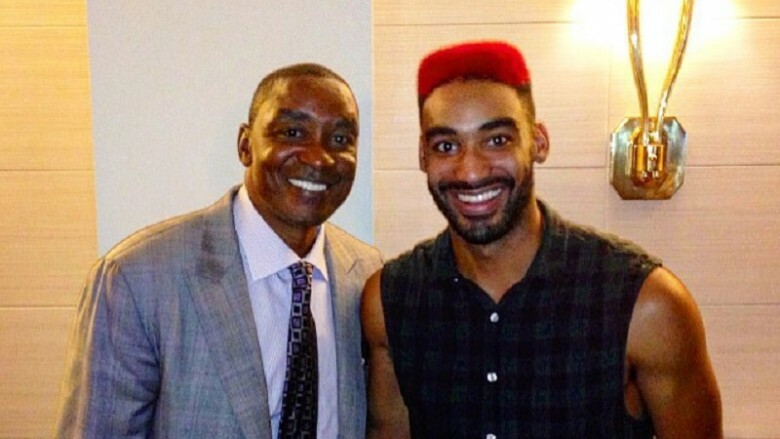 Zeke Thomas says his parents always knew that he was gay, or at least, they say they do. The DJ, whose father Isaiah became one of the most legendary point guards in basketball history as one of the Detroit Pistons' original "Bad Boys," came out to his parents properly in 2008. He says their response was to accept him, just like he always knew they would. The relationship between Zeke and his father appears inspiringly solid, from the No H8 Campaign they've participated in together to the beautiful Father's Day letter Zeke penned to his superstar dad, thanking him for, well, just about everything. "Thank you for loving your Gay son from the beginning with no prejudice," Zeke wrote. "Many children are not given that same level of love and guidance. Thank you for continuing to champion equality for all." In addition to being a talented actor, Sally Field is an outspoken supporter of LGBTQ rights, and has had the distinct pleasure of being presented the Human Rights Campaign's Ally for Equality Award by none other than her son Sam Greisman in 2012. More than simply signaling her own progressiveness, Field has come out with advice to parents of gay children on how to navigate the scary process of coming out. "First of all," she says, "Don't be frightened. And don't put your own prejudices or fears about sexuality on your children." She continues, saying plainly that "Sam was always Sam, this wonderful human that he is, from the time he was born. In a letter on the subject of LGBT rights, she also wrote that "one of the great privileges of my life [is] to have been allowed to be a part of Sam's journey." Cher has been a gay icon for decades, owing to her fierceness, diva personality, and of course, contributions to the dance music canon. But she didn't become a gay advocate until her first child, then known as Chastity, came out as a gay woman, and eventually a transgender man whom we know today as Chaz Bono. The road to acceptance was long, with Cher at first feeling very anxious about the idea of her child being LGBTQ; Chaz himself wrote in his memoir, Family Outing, that she went "ballistic for a couple of days," and that initially, his father Sonny was the supportive one. "I think she had certain expectations, hopes and dreams of what her child's life would be, and she wanted it to be as smooth and easy as possible," Chaz said at the time. Cher has been open about her long road toward acceptance; when Chaz announced he would be transitioning genders, his mother announced, "Although I may not understand, I will strive to be understanding," making it crystal clear to any doubters that "the one thing that will never change is my abiding love for my child." Cybill Shepherd has not one, but two adult daughters who both identify as LGBTQ. Clementine Ford, her oldest daughter, is a writer and actress who starred in Showtime's The L Word (on which her mother also appeared) after making her debut in the 1999 comedy American Pie. Out as a bisexual woman, she's married to the actor Cyrus Wilcox, with whom she has a child, Elijah. Ariel Shepherd-Oppenheim, one of two twins born from Cybill's second marriage, is a playwright and director based out of Los Angeles who recently wrote, directed, and starred in the short comedy F*** You From LA. As for Cybill, she supports her daughters fully, though it's not like there was ever any doubt. Her L-Word co-star Jane Lynch once remarked of Shepherd, "She marched in the [gay pride] parades before it was fashionable." The actress best known for her iconic role as Allison, the outcast from The Breakfast Club, never had a "coming-out" moment with her daughter, Rebecca, who identifies as a lesbian. She was, in fact, uniquely prepared to be the mother of a queer child—her own mother Charlotte, is a lesbian as well. 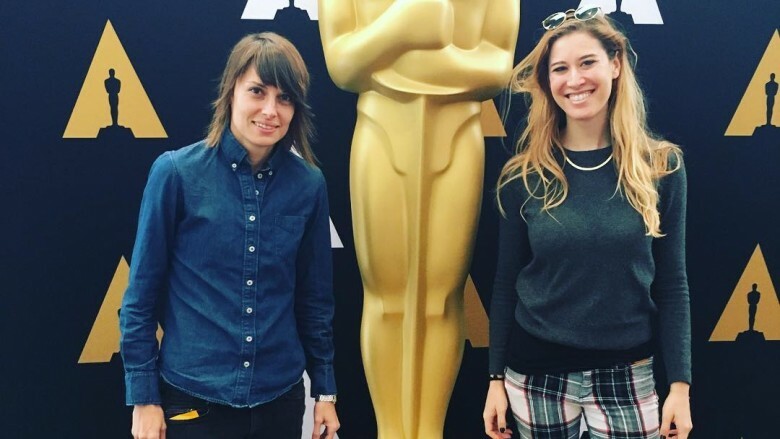 "With both my mom and my daughter, [coming out] wasn't really an event," she has said. "I don't remember a time when I had the thought that, 'Oh, my God…my mother is gay!' because it was an ongoing conversation. Just the same, there wasn't a day when I thought, 'Oh, now my daughter is gay!' It's just a part of life." As a result, her advice to parents and family members of LGBT people is relatively cut-and-dry: "Basically, do you love that person or not?" Simple as that.